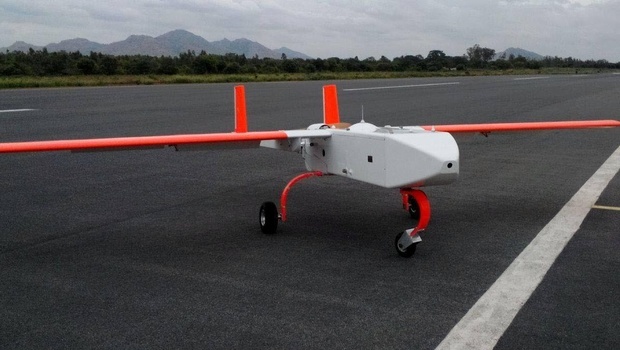 Panchi, a light version of unmanned aerial vehicle (UAV) Nishant with its own wheels, has successfully been flight tested by the DRDO. Its biggest advantage over 'UAV Nishant' is its ability to wheel around - which the former can't - giving it more operational efficiency. Its lighter and enjoy a better capable of ditching radars due to low radar cross-section signature. It possess a longer endurance thanks to the light weight (380 kg), as it does not need air bags and parachute system like Nishant. To sweeten the deal - the small size make it capable of taking-off and landing using small airstrips. It will be used for reconnaissance, battlefield surveillance, target tracking and localization and artillery fire correction. What is Radar cross-section (RCS)? RCS is a measure of how big a trail you leave for the radar to catch you. A bigger signature means being more detectable. Panchi has autonomous flight capabilities and is controlled from a user friendly Ground Control Station (GCS). It can travel with maximum speed upto 185 km/hour and reach the height of 3.6 kilometer up the ground. Its developed by DRDO at the Pune-based Aeronautical Development Establishment. The UAV is a multi-mission system capable of operating during days as well as night. Its launched by a catapult and has to use parachute for landing. Its equipped with a sophisticated image processing system to help it track enemy. The vehicle is already inducted in Army. Which Indian president was involved in the struggle for Irish independence?